Your soul is a sucker for travelling and it never appears gratified despite the number of trips you make annually. Perhaps the experience that the traveller in you has garnered over the years, has lent it an undeniable streak of maturity. And may be, it is this maturity that stokes you to look for something that is entirely different - The spectacular! Now then, did you ever envision the image of a sprawling stretch of fecund land that is all purple to your eyes? Can you draw a space in your mind where the land at your feet mirrors the very appearance of the sky above? There are diverse things aplenty that are as uncanny as these imageries are, if not more that are meant to baffle reason; but these do exist and thrive. Here are 5 such unwonted set-ups that the nature has created. Take a look; believe it, you will want to fly there right now! Who would not like to perambulate through a tortuous course that is not taxing but is rather rejuvenating? 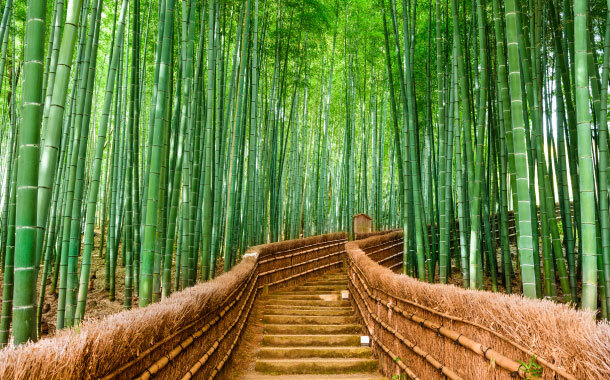 What if, furthermore, the way is graced by straddling green bamboo trees? “Is this a dream?” - is the question that pops in your mind immediately, right? Well, in Arashiyama, which is located in Kyoto, Japan, there is such a thing. If you doubt the words, take a look at the photo below. 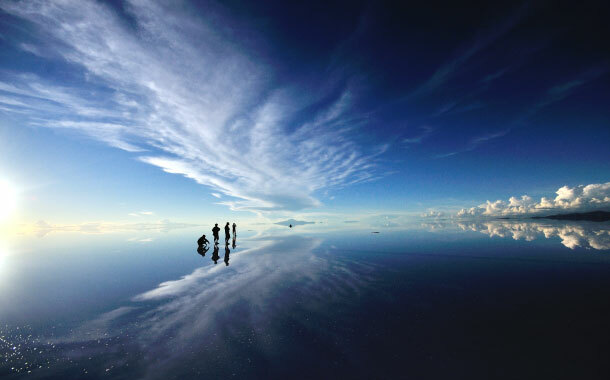 Salar de Uyuni is a staggering creation of the nature that you will find in the southwest of Bolivia. It is a straggly land of glistening salt that formerly used to exist as a lake before several transformations took effect. The flat land looks like a large mirror that reflects the appearance of the sky above. 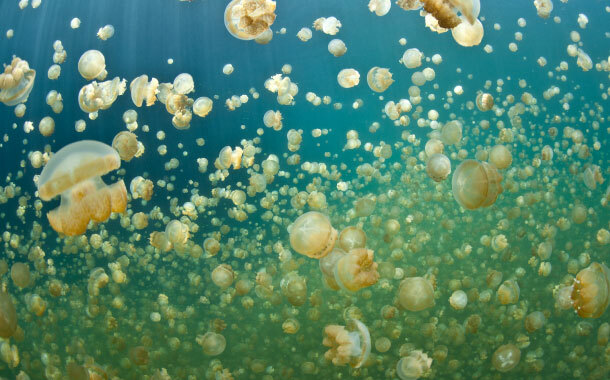 How about spending a day in the waters with fellow companions as jelly fishes? And what if there are just too many of them! Yes, in Palau, Micronesia, the Jellyfish Lake will proffer you just the like of this experience. They are endowed with the protective-stinging cells, yet it must not be a thing of worry, as they are feebly built. Make it a point to visit this place to see it for yourself. 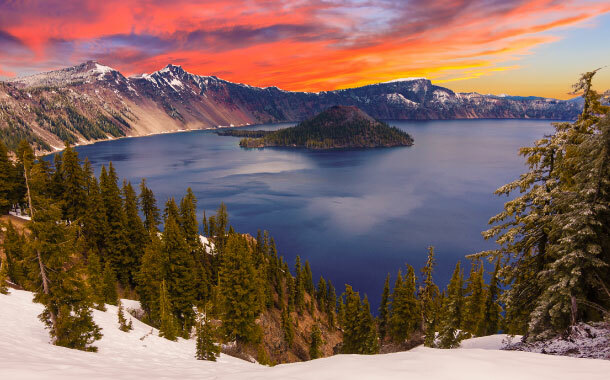 Crater lake, have you heard it? In United States, there is a place called Oregon, where hundreds of years ago, the collapsing of a volcano resulted into a gigantic crater. As time passed, seasons changed from rainfall to snowfall, which in the process turned the crevasse into a lake. The water remains locked within the high-walled chasm as there is no outlet to the lake for the water to either flow in or out. 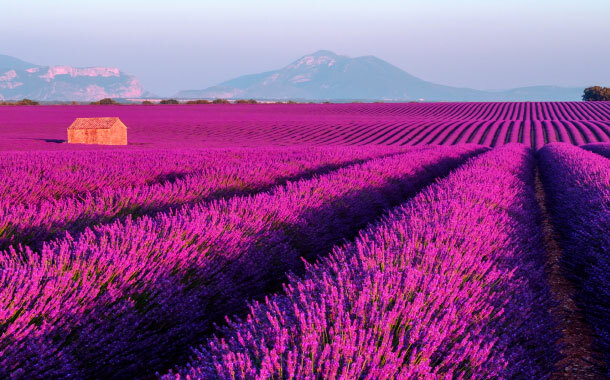 In Provence, France, the very first sight of the lavender field is likely to resonate with a poet’s definition of sublime beauty. An expansive tract of purple that infuses a distinctive scent into its local atmosphere, is uncharacteristic of anything that you may have seen till date. These fields are in their first flush of bloom in the month of June and reaches the climax by the month of August. So keep the months in mind while planning a trip to France.